Rockstar could be going back in time with GTA 6 as new reports claim that it will have a vintage theme which means it could even be a Grand Theft Auto Vice City Stories prequel. Earlier reports have already claimed that Grand Theft Auto VI will be set in London, which is not a first in the GTA series. The very first installment was actually set in London, 1961 but it was made by DMA Designs back then. In addition, the setting was not really realized because the game was still set in 2D. With Grand Theft Auto Vice City Stories set in 1984, GTA 6 could go as far back as the 1970s. Grand Theft Auto VI could then feature vintage cars and clothing options for GTA 6 players, Neurogadget has learned. Rockstar has not even confirmed that the Grand Theft Auto V sequel is being developed but their release timeline could mean that it is already in the works. 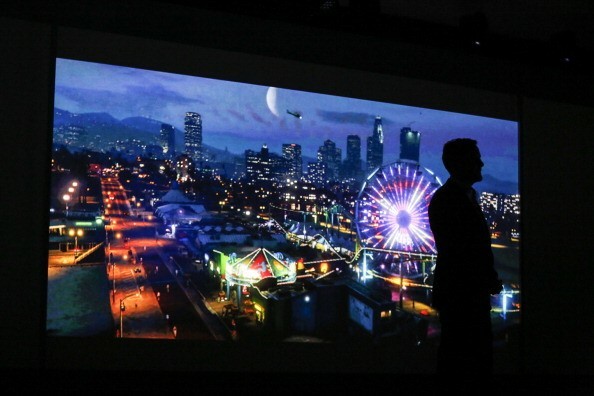 The sequel was not present in Rockstar's Electronic Entertainment Expo 2016 presentation. Still, it did not stop GTA 6 rumors from spreading across the Internet as much earlier speculations even claimed that it will be set in Tokyo after Rockstar sent someone to Japan to study the place. Grand Theft Auto VI could be set before Vice City Stories which would put it in London 1969 essentially making GTA 6 more vintage compared to the earliest installments of the game series, Christian Daily reported. If the timeline would be followed, it could be another GTA prequel in the works. Rockstar is still churning out GTA V DLCs and multiplayer expansions such as the recent Cunning Stunts content. It could be one reason why the developer has not yet put their full force and effort in developing Grand Theft Auto Six. Interested fans should note that the GTA 6 rumors and speculations do not have confirmations yet. Rockstar will need to officially announce the Grand Theft Auto VI game first before all of the claims in the timeline, plot and setting of the game can be unveiled as well.